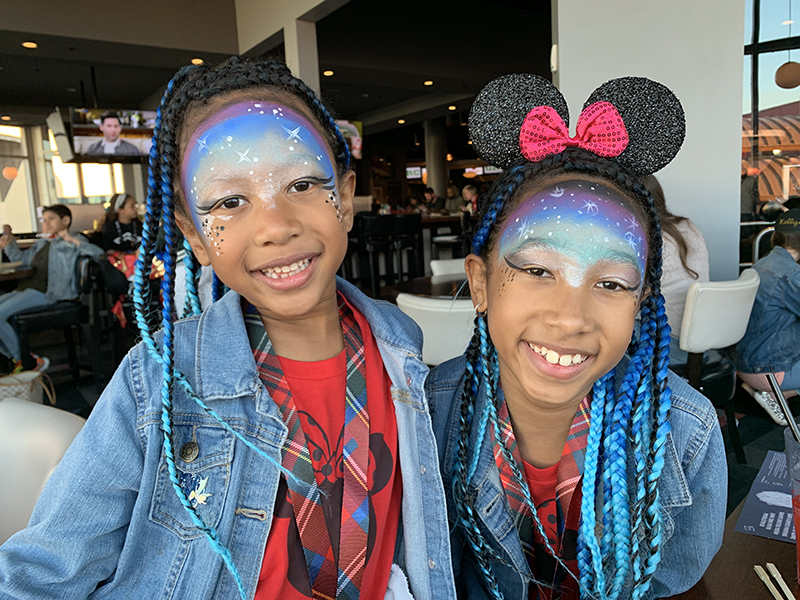 We recently had the privilege of attending the first-ever Disney Creator Days, a weeklong hosted trip that allowed us to experience the best of both Disney World and Disney Cruise. Disney only invited 50 content creators and their families to participate, so we felt honored to have been chosen! 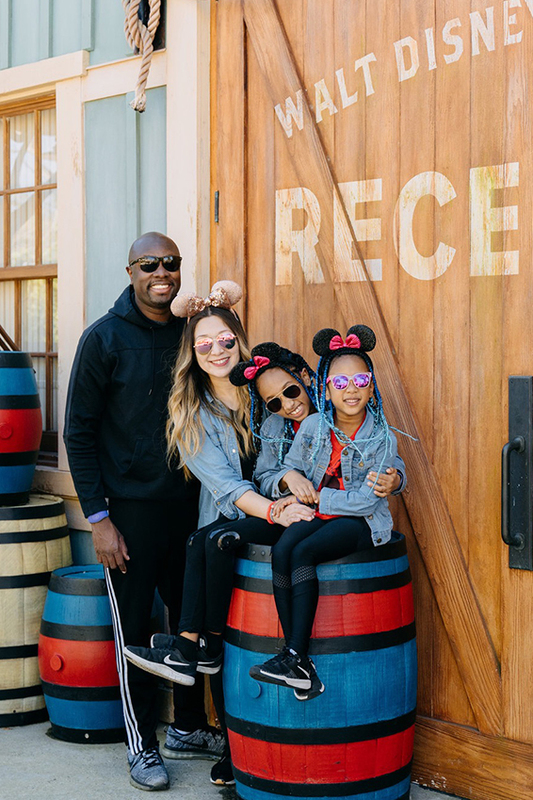 Disney always brings together a diverse mix of influencers for these types of events, with some having tens of millions of subscribers and others that may be just starting out. We had a lot of fun connecting with some creators we had never heard of and others we had admired for many years. 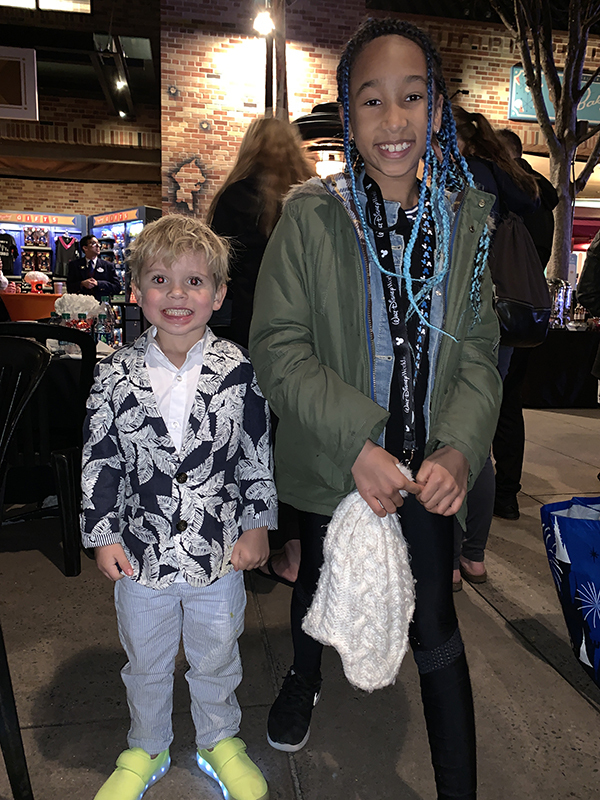 And Sean and Ella were thrilled to meet some of their favorite YouTubers in person! 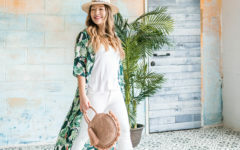 Most influencers agree that working in this industry can feel a bit isolating, especially when friends and family don’t really understand what we do for a living. 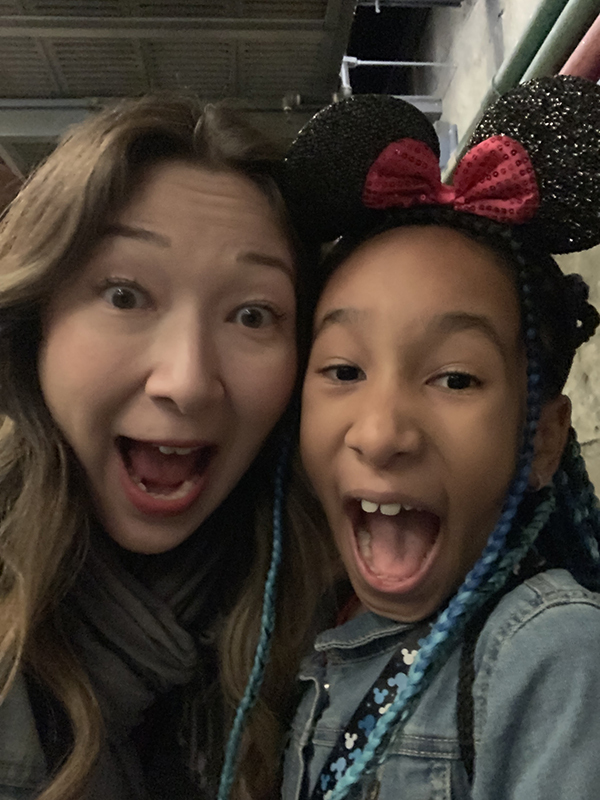 So having the opportunity to connect with other creators, while experiencing the best of Disney, was a fantastic recharge for us. Serge and I somehow kept the trip under wraps for almost three months, only breaking the news to the girls the day before we left! As you can imagine, they were so excited. 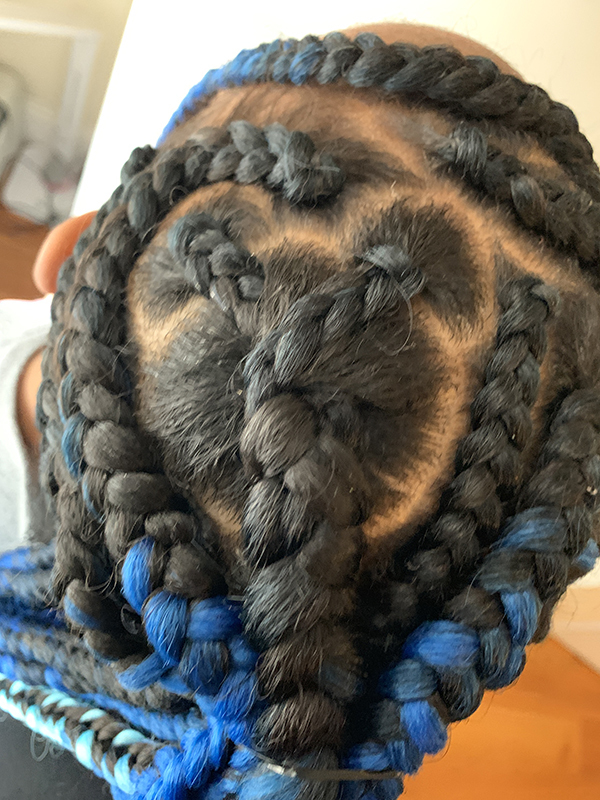 Over the weekend, they’d had their hair braided, and I’d asked our stylist to sneak in a couple hidden Mickey designs into their hair. When I revealed it to the girls they were amazed, having had no idea the designs were thrown in! We flew into Orlando airport and were greeted by a driver who whisked us off to Jambo House at Animal Kingdom Lodge. 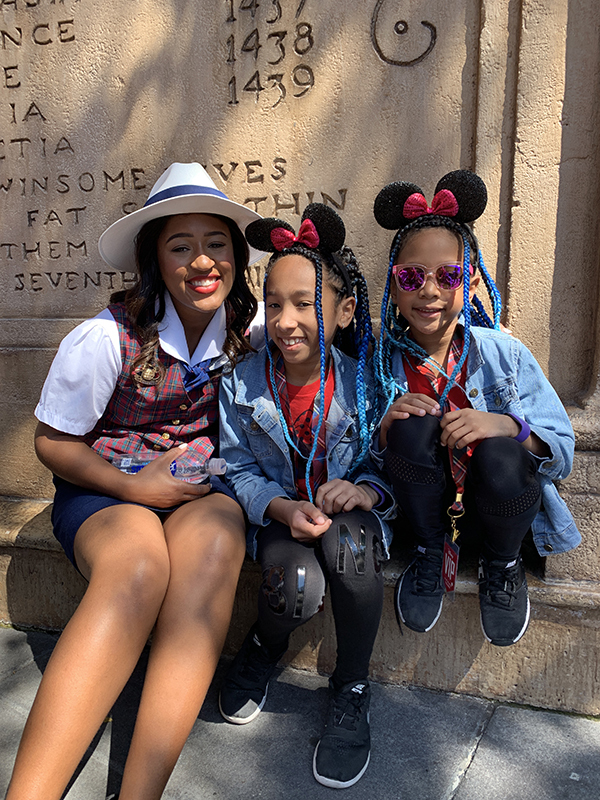 We shared our ride with the very sweet Rosanna and Winston of Glam Dapper, and their daughter Chanell. Being fellow New Yorkers, it was fun to get to know each other on the ride to the hotel. Once at the lodge, we checked into room 3471, which had a savanna view, meaning we could see wildlife right outside our balcony! 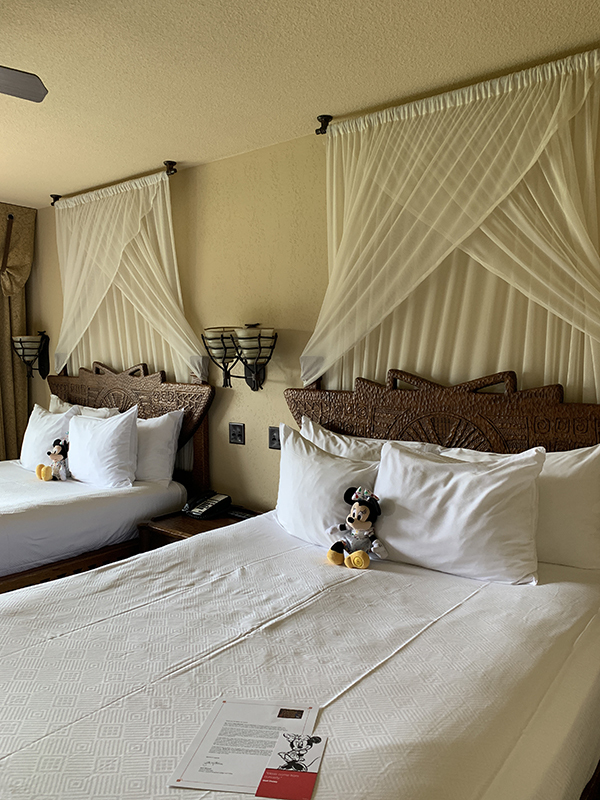 On our last trip to Disney (where we experienced the private VIP tour), we’d had dinner at Jiko, Animal Kingdom Lodge’s fine dining restaurant, and we were awestruck from the moment we walked into the property, so it was exciting to be able to stay here this time around. 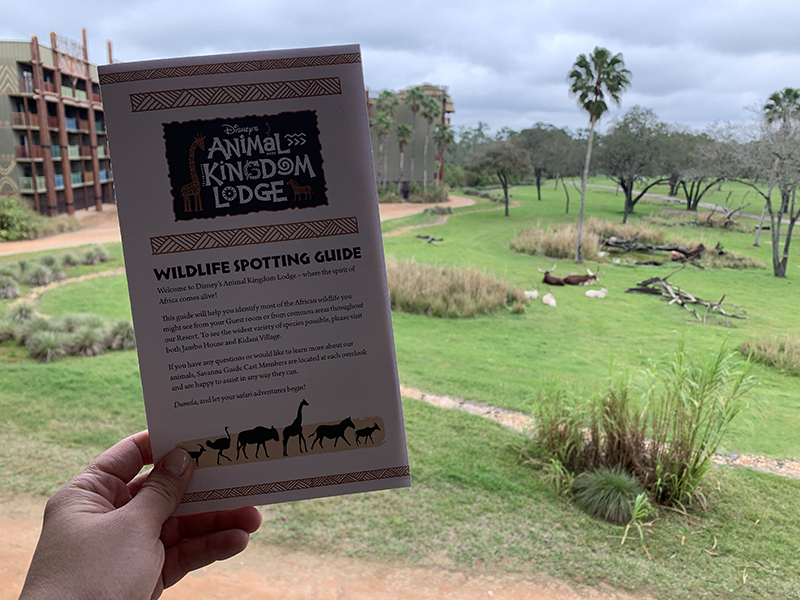 There’s a Wildlife Spotting Guide in every room that was such a great touch! The guide lists all of the different animals you might see from your balcony, and the girls had a great time checking off each animal as they saw them. After a quick lunch at The Mara, the property’s quick service restaurant, we took a power nap in the room before heading out for the evening’s festivities. Disney arranged a private buffet dinner for everyone in our group in the open-air Harambe Market in Disney’s Animal Kingdom. It was a very festive atmosphere with a live band playing African music. There, I ran into the Reese family from It’s a Lovely Life. Heather and I have been friendly over Instagram for months, so it was fantastic to connect in person. Their youngest daughter Emmy clicked immediately with Sean and Ella, and the three of them became fast friends throughout the whole trip. After dinner, we headed out to explore the park. I’d never been to any of the Disney After Hours events before, so this was a treat for me. The event gave us access Disney’s Animal Kingdom beginning at 7:00 p.m. During these events, the rides are open from 8:30 to 11:30 p.m., and there’s little to no wait time. If you’d like to experience this yourself, it’s $125 per adult or child. During our last trip to Disney World, we were absolutely obsessed with the two rides at Pandora: World of Avatar, so we headed there first. As you may know, the wait time for Avatar: Flight of Passage, can easily go up to three hours on a regular day. So it was amazing to be able to waltz right in with hardly any wait! Unfortunately, right as we were about to board the ride, Ella panicked and refused to get on. The staff was kind enough to let me to exit out of a side door and wait with her while Serge and Sean enjoyed the ride, and then allowed me to go back in to experience the ride without having to line up all over again. The ride was just as exhilarating as I remember. It really feels like you’re flying on a banshee, and the imagery is just incredible. After this, we headed over to Na’Vi River Journey, another one of our favorite rides. This one is much more relaxed since it’s a beautiful boat ride that takes you through a lagoon, straight out of the Avatar movie. And again, there was no need to stand in line! The next morning, I headed out to Epcot alone for an influencer-only breakfast at World Showcase. Executives from Disney came to welcome us, and they announced the launch of a new podcast from sister brand ESPN. 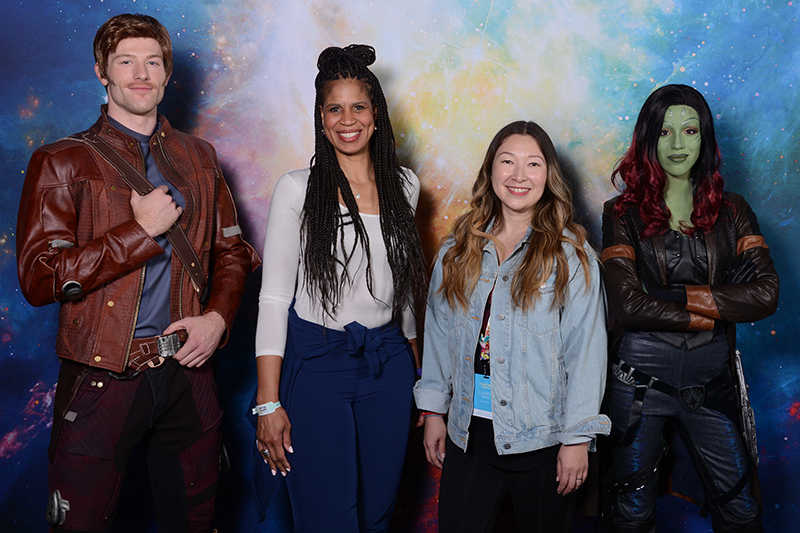 Afterwards we enjoyed some fun photo opps with the Stormtroopers from Star Wars, and also with Star-Lord and Gamora from Guardians of the Galaxy. Holly Frazier and I decided to snap a couple photos together, after having enjoyed a great conversation at dinner the night before. 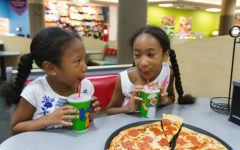 She and her daughter Nia Sioux are known for being on the reality show Dance Moms. Her husband Evan had really hit it off with Serge, and it was great getting to know their lovely family on this trip. 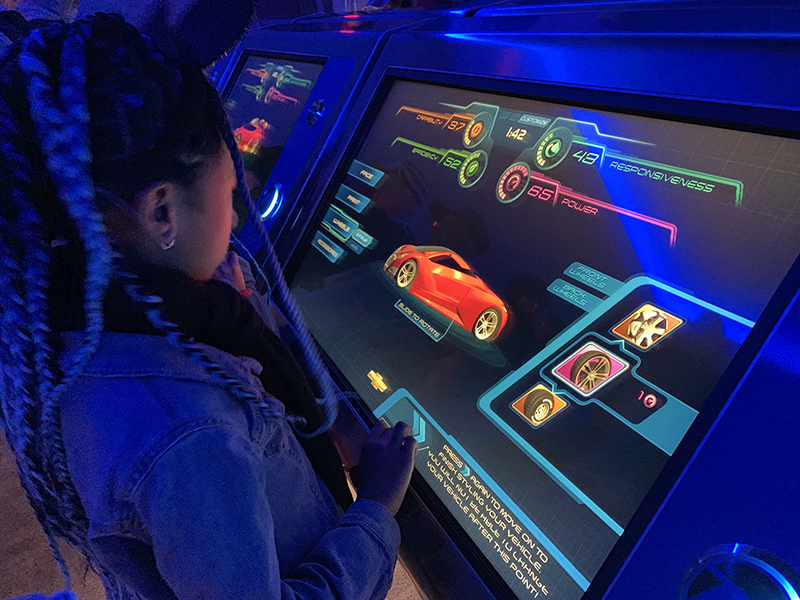 Serge and the girls met up with me in Epcot, and our first stop was Test Track, a must-do for us during every Disney trip! Riders split into two teams and each gets to design its own car. Teams then go through different “tests” to see how well the vehicle performs in various areas, and at the end of the ride there’s an exhilarating outdoor race track that always has me screaming! After Test Track, we headed to another one of our favorite rides, Soarin’. If you’re a travel lover, you have to ride it! It feels like you’re flying in the air, and it takes you to some of the world’s most iconic locations, from the pyramids of Giza to Sydney Harbor, from The Great Wall to Taj Mahal. After this, we headed to Seabase, where we enjoyed the massive aquariums. We had lunch at Coral Reef, a seafood restaurant that is actually built around the huge aquarium! It was really cool because while we were there, there were some guests scuba diving inside the tank, and the girls had a great time waving to them while enjoying our lunch. Serge and I started with the calamari and lobster bisque, both of which were great. For entrees we had the salmon and mahi mahi, which we enjoyed a lot. After that, we went to Alien Swirling Saucers, which is sort of a space-themed update to Magic Kingdom’s Mad Tea Party, and it was a lot of fun. Since there was no one else there, we were able to ride it twice in a row without even having to get out of our saucer! We then headed to one of my favorite attractions, Toy Story Mania. This is a game where you shoot at various things that pop up, each one with a different number of points, and the goal is to beat your opponent, who shares a carriage with you. 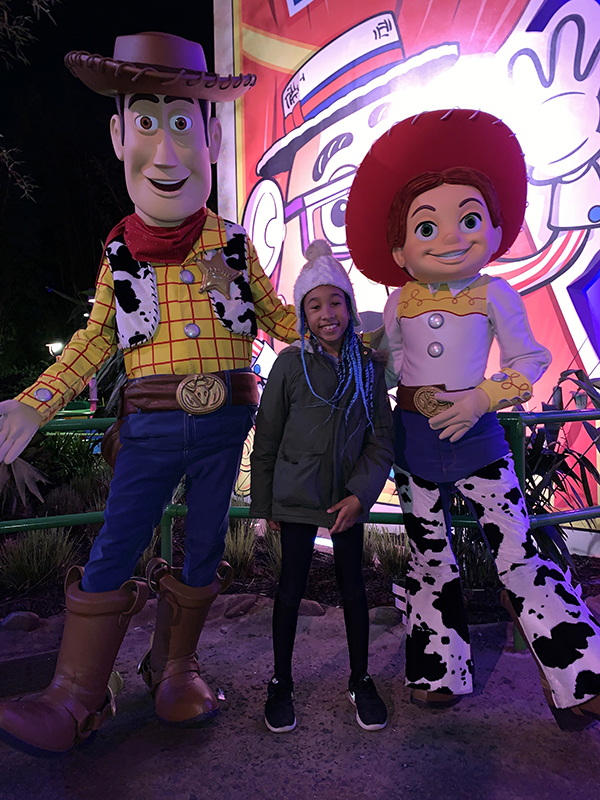 Serge and the girls did another round on Slinky Dog Dash, and we all went on Toy Story Mania one more time before heading back to the hotel to get some sleep. Watching the sun rise over Magic Kingdom was truly worth waking up at 5:00 a.m. for! Walking down an empty Main Street U.S.A. at 6:30 in the morning, with the sunrise lighting up the landscape with beautiful pastel hues, was incredible. 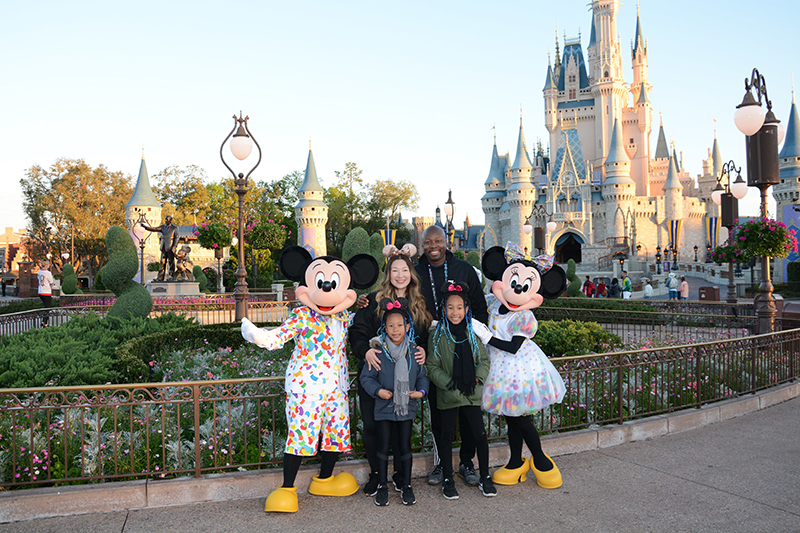 As we walked to Cinderella Castle, we met lots of our favorite Disney characters, including Remy and Emile from Ratatouille, Clarabelle Cow and Horace Horsecollar, Daisy and Donald Duck, Pluto, and Goofy and Max. Sean was excited to take pictures with everyone, but Ella was feeling reticent about it. She was still very sleepy, and it was very cold that morning, so she was a bit grumpy. Her mood changed, however, when we saw Mickey and Minnie Mouse in their new celebration outfits, created especially for their 90th anniversary! 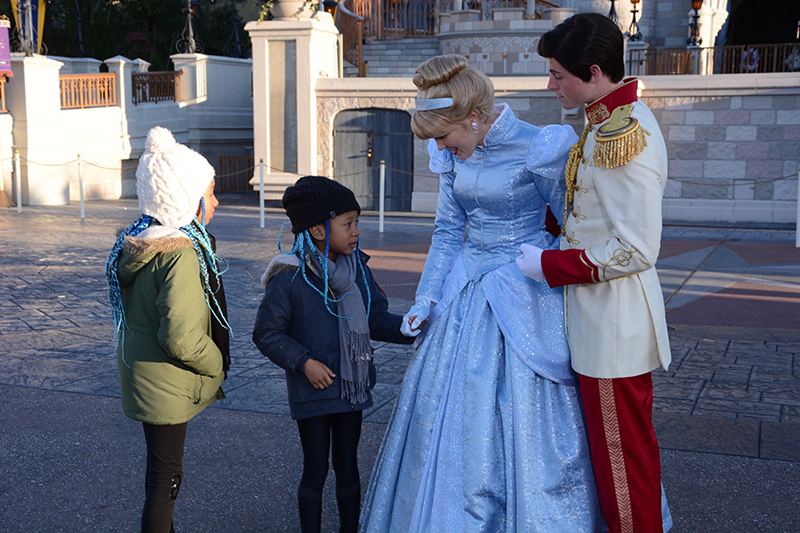 And once she saw Cinderella and Prince Charming, her day was made! We enjoyed breakfast at Tomorrowland Terrace while we waited for the rides to open at 8:30 am. Then we headed to Space Mountain, which Serge and the girls enjoyed very much. We met up with our photographer to capture some images for Instagram, and then headed to Town Square Theater to meet up with our tour group. 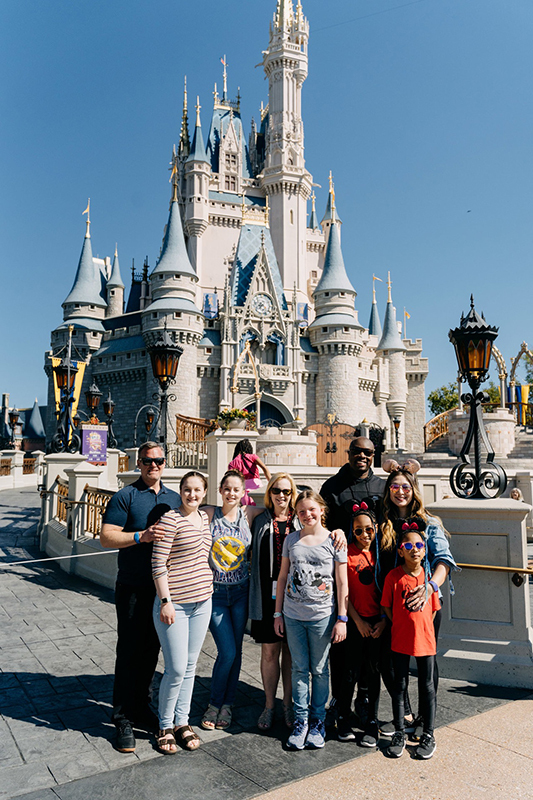 If you’re interested in the idea of a private VIP tour, but aren’t ready to make that investment yet, trying a group tour like the Ultimate Disney Classics VIP Tour is a great place to start, as it’s just $249 per person. A Disney VIP tour guide takes you around some of Magic Kingdom’s most iconic rides. And since all the rides on this tour have no height restrictions, it’s a great choice for families with little ones. The tour is offered three days a week, is about four hours long, and include a sit-down lunch. We met up with our guides, Kennedy and Zac, as well as our fellow tour participants: The Gardners of the Gardner Quad Squad, the Mindells from Studio DIY, Rachel Pitzel and family, and Ilana Gelfand. 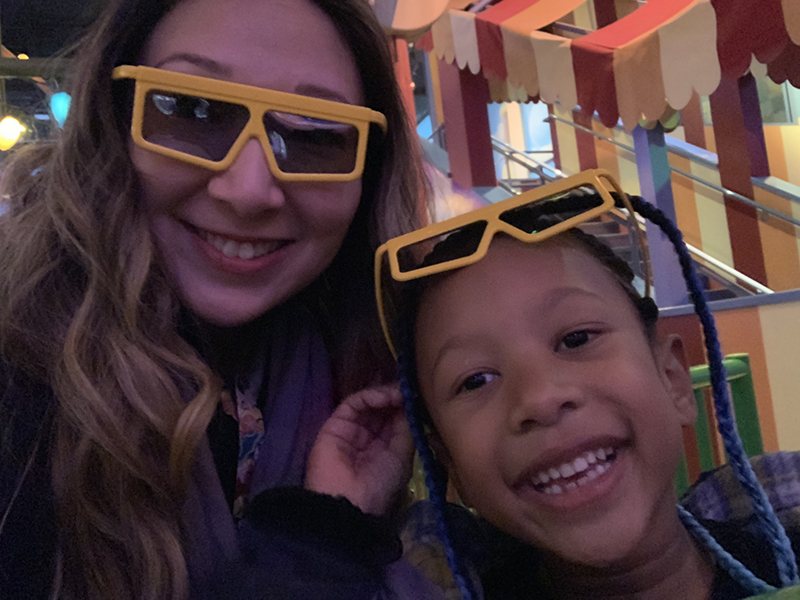 On our tour we experienced many of our favorite Magic Kingdom rides, including Pirates of the Caribbean, the Haunted Mansion, It’s a Small World, Peter Pan’s Flight, Under the Sea, and Dumbo the Flying Elephant. As with the private VIP tour, we joined the FastPass line for every ride, so we never had to deal with any long waits. Throughout the tour, Kennedy and Zac shared interesting tidbits about Disney World’s history that added to the experience. Our tour included a quick sit-down lunch at Pinocchio Village Haus. After the tour, we headed off to dinner at Splitsville Luxury Lanes, an upscale bowling alley and restaurant in Disney Springs. 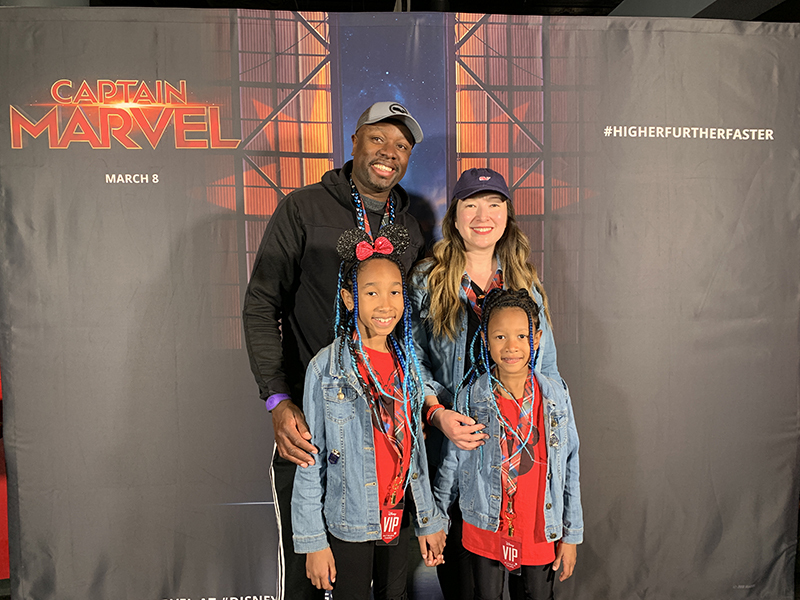 Captain Marvel was going to open nationwide the next day, so to celebrate, the Disney team hooked the kids up with awesome Captain Marvel costumes, as well as a Photon Power FX Gloves! There were some fun activities for the kids, including bowling and face painting. After dinner we all headed off to the theater next door for a special private advance screening of Captain Marvel! The following day, we enjoyed breakfast at Jiko – The Cooking Place at Animal Kingdom Lodge before heading out to the cruise terminal in Port Canaveral for part 2 of Creator Days: setting sail on a Disney Cruise! To say our experience during Disney Creator Days was action-packed would be an understatement! 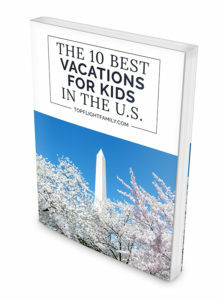 Disney World has so much to offer, that it’s impossible to see and do it all in one vacation. Thankfully, Disney offers After Hours events and VIP tours to help you see and do a lot in a short amount of time. There truly is something for every member of the family, too. 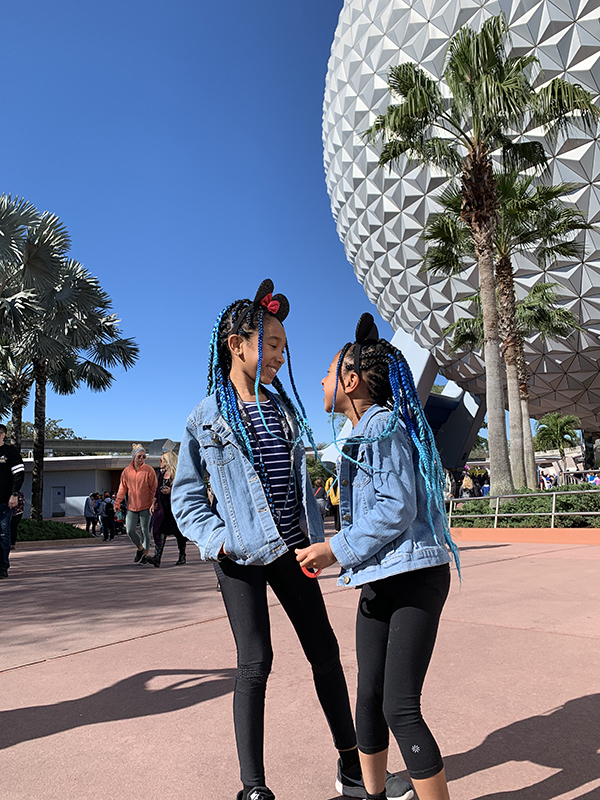 Everyone can find something to love about Disney World, from foodies and thrill seekers, to preschoolers and animal lovers, to movie buffs and environmentalists! 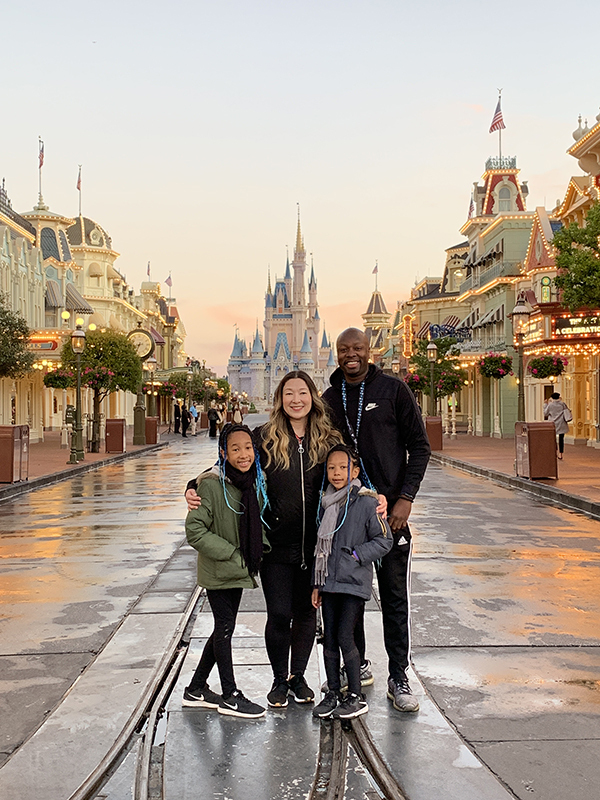 Our family loved the opportunity to connect with so many inspiring creators while experiencing so much of the magic of Disney. What’s the first thing you’ll do on your trip to Walt Disney World?